Sitting in the lobby of our hotel in Manila, I watched Tim finish checking in, then walk over to join us. He ordered a beer and fired up a cigarette… at 10am. We had shown up the night before, but Tim had flown from Mauritania to meet us; which in itself deserves a 10am beer. Tim launches into the debacle in Johannesburg; trying to figure out where his luggage was, dealing with the airline, local customer service and baggage handlers. In the end, Tim’s bags never made it from Nouakchott. To add injury to insult, our company kindly offered $230 to cover his lost luggage – if you’ve every packed for a six-week business trip to multiple countries, you know this comes nowhere near replacing what you lost. Still not convinced? How about 10,000 bags are permanently lost every year out of Brussels alone. Insurance on the road can (literally) be a lifesaver. 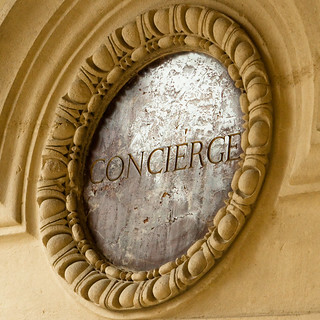 Trip insurance will cover you in the event of: Delay ; cancellation; delayed baggage; NO baggage; medical evacuation; and not to mention, many provide a concierge service if anything does happen while you’re on the road. Real-life example #1: While traveling for 3+ weeks I had been in seven different airports, four of which were international. Where did my luggage get lost? Not Djibouti, not Dubai, not Frankfurt… Chicago. I called TravelGuard, gave them the airline claim number, described my baggage and then went back to the holiday festiveness with the family. AIG was dealing with the airline, I was relaxing at home with the fam, getting phone updates every couple hours. My luggage showed up later that day. Nice. Real life example #2: Transiting Frankfurt from Africa. Upon check in, airline says I have no ticket. I call TravelGuard, they contact not only the airline, but the travel company that booked my ticket, figure out the issue, get the ticket re-issued, call me back and give me the good news. What was I doing this whole time? Sleeping in the lounge. Beautiful. I use AIG TravelGuard with success and I’ve tried out TravelInsured in order to give people a comparison. I haven’t had the occasion to use it (thankfully), but the process to register is quite easy. If you’re invincible and don’t need insurance, BootsnAll has a very detailed article explaining why you need travel insurance. But what if I’m traveling for my company and THEY buy the tickets? Say your company is sending you on a trip for work – YOU, my friend are NOT paying for the trip, so YOUR trip cost is zero, which means if you buy insurance, you only need to cover the incidentals and not the cost of the flight, hotels, etc. That being the case, zero trip cost insurance is WAY cheaper than normal trip insurance and a good way to protect yourself while on the road for someone else. Your company might reimburse you in the event that your luggage is delayed and/or lost. Find out how amounts for delayed vice lost and get details on their travel insurance policy. In the case of an emergency, will their policy cover an evacuation? What about a medical evac? Taking out your own insurance can mean you get back $2k instead of $230 if your baggage is lost, it could also be the difference of being evacuated to Senegal vice Germany for medical treatment. Not everyone gets their luggage back like this woman did (after 20 years). Back in Manila, our hero Tim made his way to the mall and ended up wearing a decidedly tropical wardrobe for the rest of the trip. If you’re a worrysome traveler, travel insurance can be not only a lifesaver, it can also save a good chunk of money and put you back in control of your vacation if something goes wrong. Not to mention peace of mind, my friends. Peace of mind. Have you ever needed travel insurance? 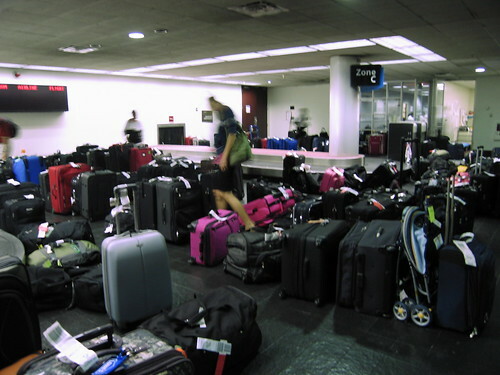 What happened the last time you lost your luggage?